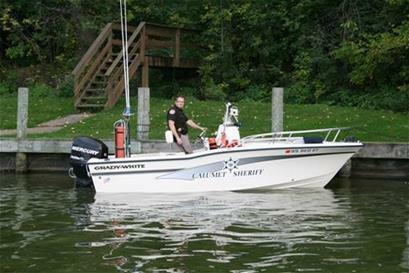 The Calumet County Sheriff’s Boat Patrol was established in 2000 and patrols the northeast side of Lake Winnebago. The Boat Patrol is responsible for enforcement of all State of Wisconsin Statutes including boating laws and regulations. The Boat Patrol also responds to water related distress calls, boating accidents, and search and rescue. The boat patrol works closely with the Wisconsin DNR and the U.S. Coast Guard. A specially equipped 2000 Grady White Sportsman 200 is utilized for the boat patrol. The boat is 18 feet long and is powered by a 150-hp Mercury outboard motor. Patrol of Lake Winnebago normally runs from May to September. 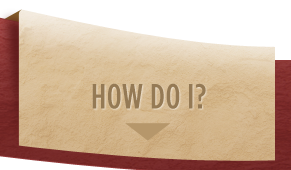 For Information on ATV, Boating and Snowmobile Registration please refer to the Wisconsin Department of Natural Resources site.